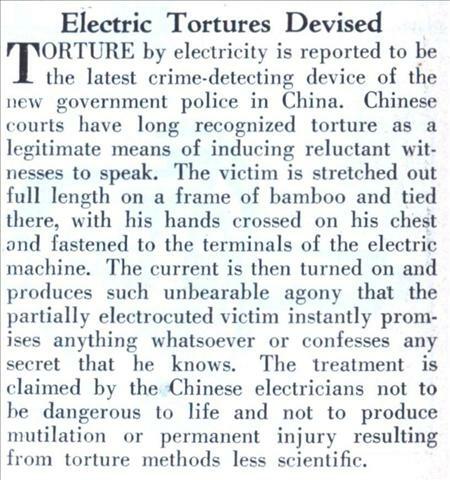 TORTURE by electricity is reported to be tlie latest crime-detecting device of the new government police in China. Chinese courts have long recognized torture as a legitimate means of inducing reluctant witnesses to speak. 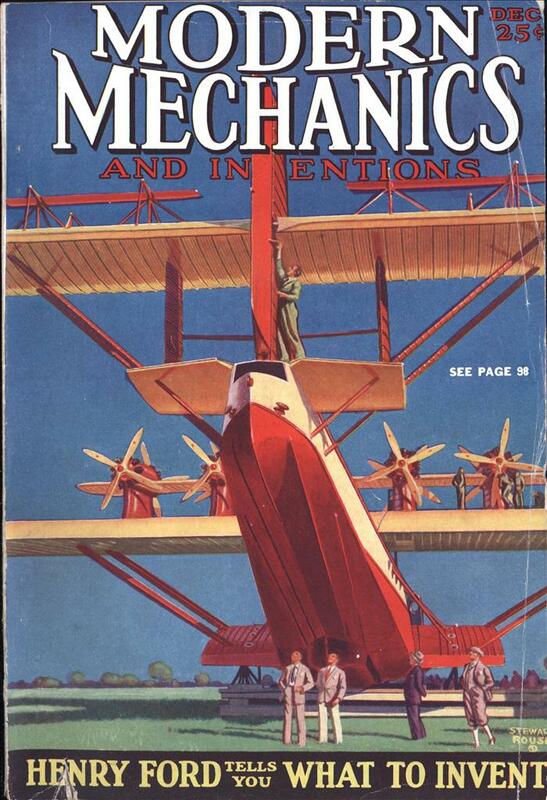 The victim is stretched out full length on a frame of bamboo and tied there, with his hands crossed on his chest and fastened to the terminals of the electric machine.